Have you been looking for quality wheelchair gloves for kids? 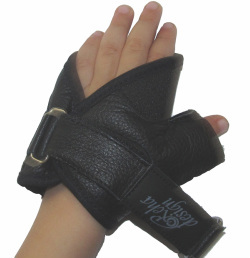 RehaDesign Strap N Roll wheelchair gloves are now available in pediatric sizes too! What is special about these wheelchair gloves for kids? * Lined with textile so the hand does not come in contact with the leather. NO risk of color transfer. 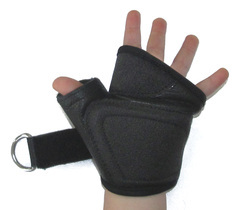 * Adjustable strap, so that the glove grows with the child's hand. * Open back design keeping the fingers free to move. * Two separated grip pads on the palm. The textured grip pads improve traction on the push rim. The separation between the grip pads gives a hinge-effect making the gloves flexible and easy to bend. How do you buy these children's wheelchair gloves? Click the button below which says "Add to Cart". Or if you have any questions at all contact us.